Brigida Alexandra Marcella. © The Interesting Stranger Project. Powered by Blogger. Casts: Zachary Gordon, Robert Capron, Chloe Moretz, Rachael Harris and Steve Zahn. Adapted movie from a book under the same title, the story tells about a new comer to middle school world, Greg Heffly and his journey to be the highest status student, written in his journal. Together with Rowley Jefferson, his naive and childish best friend from primary school, Greg figures out how to be like others and swim himself out of the surface. He thinks that he's better than anyone else, including Rowley. However, the more he tried to be winner of the social puzzle he's been through, the more he loses and realizes that his friendship with the annoying Rowley is all that matters for him. The story is felt real alive to us. All the characters in the book/movie are the ones we might ever see in our life history. It brings up the mystery of growing up and finding the place you stand on during the hard pre-teenage years in a funny and entertaining way. It's a rare piece of art or life guide for the pre-teenage where the viewers are served with reality, comedy and shocking solutions and others would probably show the dark side and teary story of being a teenager. Seeing this young school fame-seekers gives us some explanations of what we have been becoming so far. The point of the story isn't deep and hard-to-get though. For those who don't read the book or even to those who do and watch the movie, you'll surely enjoy the introduction transition from book to big screen. There are some short animated scenes which are freshly adapted just like in the book. The author of the book, Jeff Kinney, who also produced the film seems intentionally give the taste of art of the book to the movie. 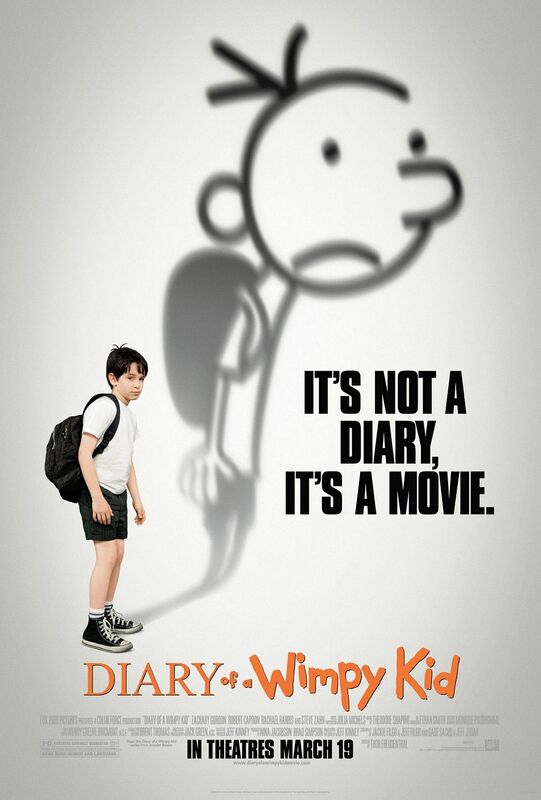 The reader of Diary of Wimpy Kid (the novel) would not be disappointed to see the movie version. Adapted movie with neat graphic transitions and fit songs along certain scenes, and agreeable for all ages. I only read the first book- but I saw the movie and actually liked it better than the book! Which almost never happens! Great review! A misunderstood Lois Lane. After losing her Daily Planet, she's trying to be her own Superman to live life limitless. Press Publish — will I see you there? Why Do I Move Jobs So Fast (and So Easily)? FEMLOGIC: Sport Isn't 'Laki', Dear ExtraJoss!